The Atlanta Police Department is buying 400 Tasers so more officers can be armed with a non-lethal weapon, one most law enforcement agencies already use. Tasers and other electronic stun devices can incapacitate criminals either by touching them directly with the device or shooting probes from a distance of 20 feet or more. Until recently in Atlanta, only SWAT officers have been issued Tasers. 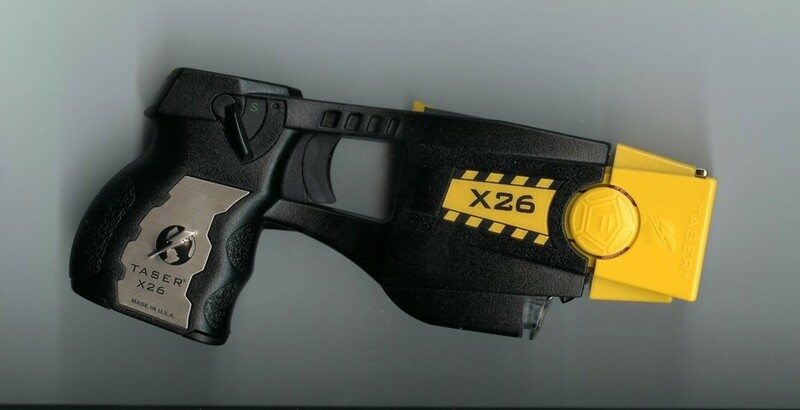 The price tag of the 400 Tasers is estimated to be about $800,000. Although there won’t be enough Tasers to outfit each of the 1,900 Atlanta Police Department officers, officers in the highest crime ridden areas will receive priority. The Tasers are expected to arrive sometime this fall and each officer will receive training on use-of-force law, APD policies, as well as extensive training on the Tasers. work by delivering a temporary, debilitating shock and a are an excellent non-lethal means of subduing armed criminals or suspects who are fighting, resist arrest, or are under the influence of drugs. Studies have repeatedly shown that the use of Tasers has led to reduced injuries of officers and civilians. A mental giant lights up a police car while being photographed! 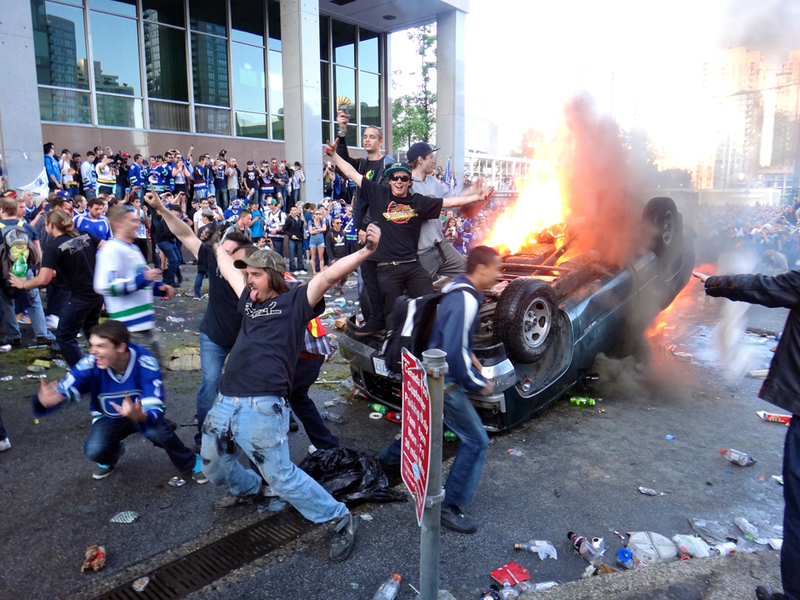 So being from Southern California, I’ve become accustomed to seeing riots break out when the Lakers win a championship, or lose a championship. But Vancouver?!?!?!?! Did Vancouver suddenly become Los Angeles when I wasn’t looking? Vancouver is still in Canada right? 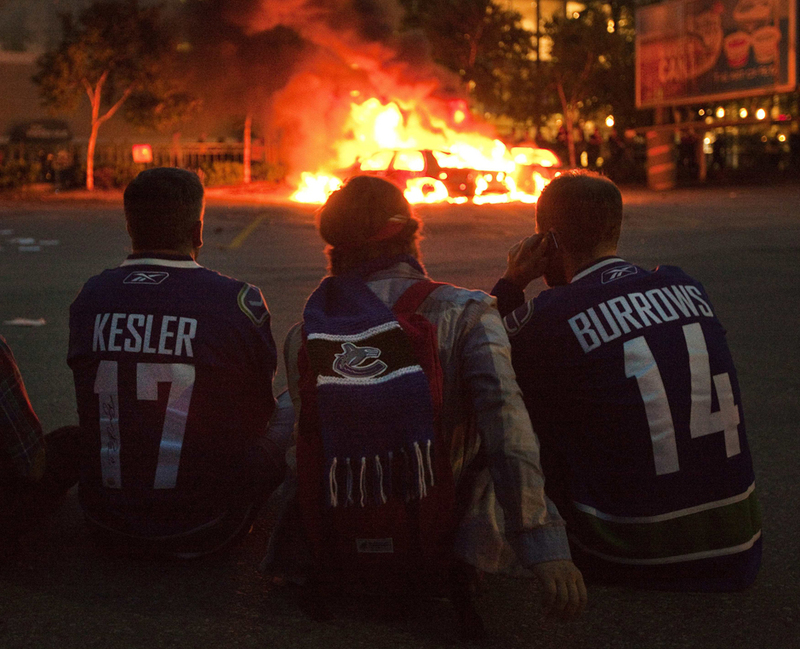 All joking aside, the images coming out of Vancouver are pretty shocking. Thousands of people running amok through downtown, with almost no police presence. Patrol cars in flames, businesses looted and broken glass as far as the eye can see. What’s disturbing to me is that so many normal looking people were posing for photos in front of burning vehicles. 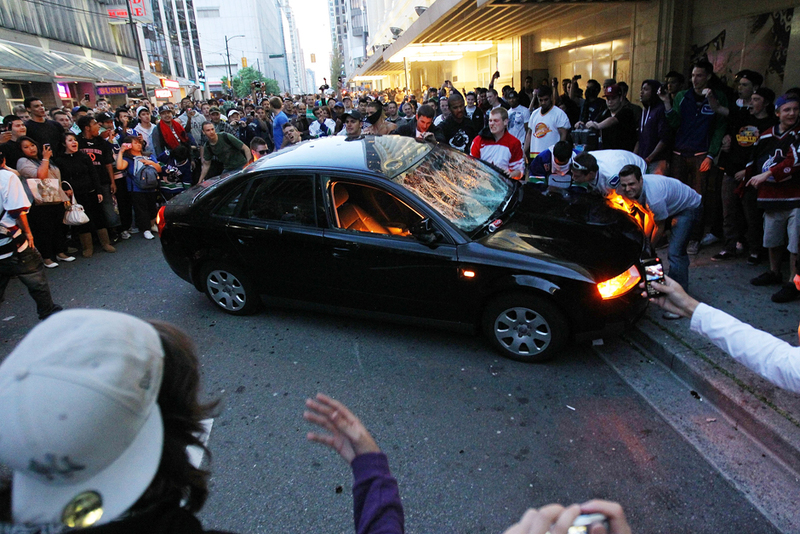 People were having a great time, laughing, smiling, breaking glass, it was like a large out-door Greek wedding. Some people have no shame. The cops were nowhere to be found. Apparently, it’s wrong to use force to stop a bunch of thugs. 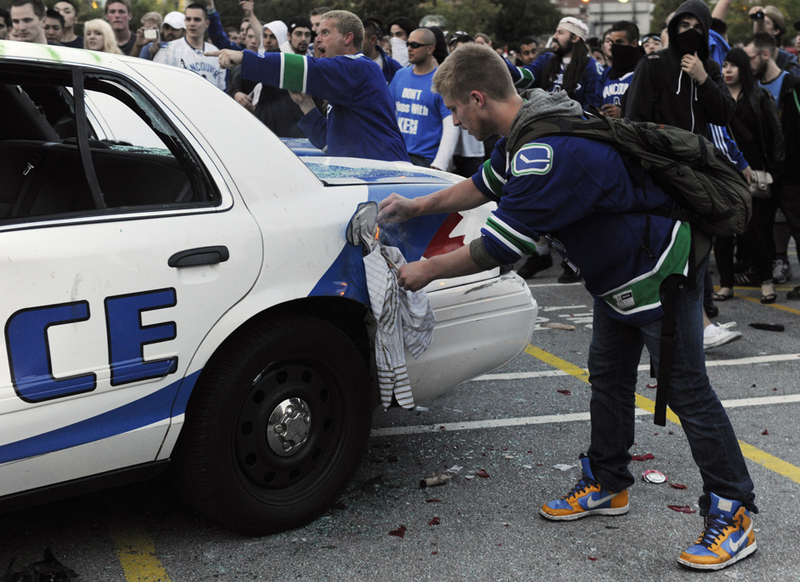 Vancouver, if you really want to be like us you’ll do as we do. Provide counselors to the rioters so that they can understand their anger, and ultimately discover why they are actually the victims. Hey, that’s how we roll here in California! Cops are no longer cops, they are social workers and psychiatrists. So, just like my last blog post about the flash mobs in Chicago, a similar situation erupts north of the border. All Hell breaks loose and no cops anywhere in sight! Just a another reason for people to take responsibility for their own protection. Hey look at me, I'm Canadian!